If you are looking for a delicious bread maker recipe, look no further. This apple bran bread recipe is both healthy and delicious. The grated apple with add moisture and extra flavor. Overall, it is a wonderful bread maker recipe. Give it a try. To toast the wheat germ, put a small amount in a dry skillet. Cook over medium heat until it is browned. Shake and stir frequently to keep the wheat germ from burning. Let it cool before adding it to the bread pan. Put the ingredients in the bread pan of your break maker in the order suggested by the instructions that came with your bread machine. Set the machine for whole-wheat bread with a medium crust. Press start. All there is left to do is wait, then eat! Each recipe makes one loaf. Different bread makers call for ingredients to be added in different sequences. Make sure you follow the directions that come with your own breadmaker in terms of the order ingredients are added. Some bread machines ask you to add things like seeds later and will beep when it is time to add them. Again, it is best to consult the instructions that came with your machine. If you prefer, you can replace the flax seeds with sunflower seeds, or you can leave them out entirely. I love bread, but I also want to eat as healthy as possible. This is one of our healthy bread recipes, with a mix of whole wheat and regular flours, wheat germ and bran flakes for added fiber and nutrition. All bread recipes (or most of them anyway) call for just a touch of sugar. It adds flavor to the bread, helps the yeast rise and helps the bread to brown as it bakes. 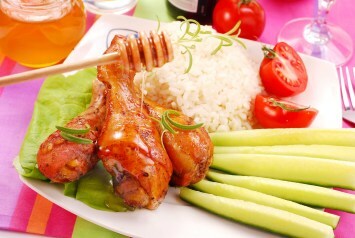 Healthy honey is used in this bread recipe. Cinnamon adds an extra note of wonderful flavor. Flax seeds are very healthy and they are an optional ingredient in this recipe. You can also use sunflower seeds if you prefer, or simply leave it all out and enjoy the bread without the added crunch. 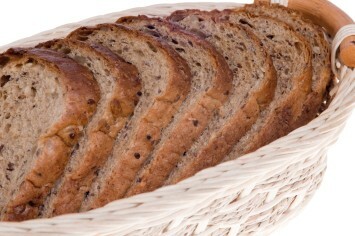 Here is another tasty bread maker recipe, our honey wheat bread.